HawksCode is a organization with more than 6 year of experience in ASP .Net. We are here to make best applications and web solutions integrated with ASP .Net framework. A framework that bring a compatible environment for desktop application in Windows. With this we make smoother and flawless experience of the application. This provide user a great experience and far better tool. 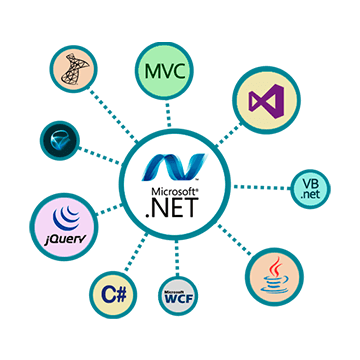 Not just ASP.Net Desktop application development we also do development of web applications. In this field we also serve you with updation, upgradation and migration of applications. We do Website Development with the core of the applications of ASP.Net. We develop windows desktop application for console, GUI with Window Presentation Foundation (WPF). Integrating different desktop and web application using WPF framework with database integrity. A specialized team that will migrate your current apps from its old version to new one. If you need a dedicated ASP.Net developer just contact us. We will provide this service on subcontracting. We have team to do development of hybrid mobile application that will work on different platform with smooth integrity and functionality. We provide optimum .NET solutions to meet your strategic goals at a fast pace, with competitive pricing. We reserve a top spot as the top ASP.NET development company worldwide and have been recognized by leading research and ranking firms. Development of your product start from when you first come with us and ends when you all of it comes to an end. We love to make our customer happy and earn the reputation from them with feature reach products. We are team of profressionals who love to make application and website with simplicity. We come with result promissing strategies and products to make some effective profits. Our development solutions are combination of our experience and experise with ASP.Net. We provide you customizable solutions for your problems and products for your personalized experience. You can have faith in us because we make right solution every time with assured security.